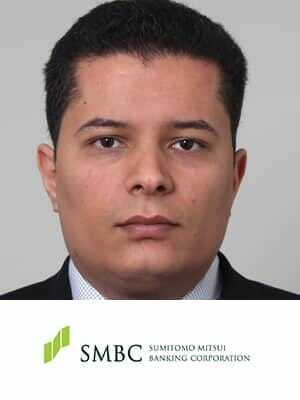 Kacem is a Senior Vice President in SMBCE’s Power and Utilities team in London. Since joining SMBC in 2011, he led teams financing some of the highest profile power transactions in the EMEA region and has strong interest in energy storage and energy transition space. Kacem joined SMBC from Deutsche Bank where he undertook key advisory mandates for private and government clients across the infrastructure and energy space. Prior to Deutsche Bank, Kacem spent 3 years with Macquarie’s infrastructure advisory team where he advised clients on investments across energy and infrastructure sectors. Kacem holds an Engineering degree from the University of Bristol in the UK.